We take a look at Flotilla, an indie game where you control a terminally ill space captain who has seven months to explore the cosmos. 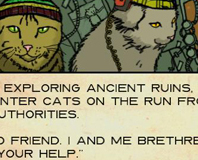 The universe is a dangerous place though, so be prepared to deal with space cats, confused crocodiles and reindeer armies. 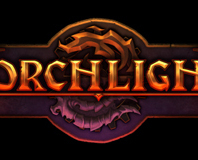 Torchlight - an action RPG that borrows heavily from Diablo 2 and isn't afraid to admit it. We take a look at this dungeon-crawling epic to see whether borrowing those mechanics is still a good idea in this day and age, or whether Torchlight should be left in the dark. SSDs might have high read speeds covered, but writing data, especially random write speeds, has held many back. 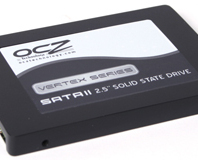 Today we look at OCZ's latest high speed SSD, the Vertex, to see if the addition of onboard cache and an ARM processor can allow SSDs to fulfil their true potential. 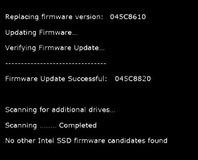 New software update promises to fix the internal fragmentation issues first reported by PC Perspective, resulting in improved long-term write speeds. The team behind the Debian Linux project have discovered a flaw in their implementation of the OpenSSL cryptography package that has been in place since 2006. Microsoft is due to ship a flawed random number generator with the latest Windows Vista service pack, which has the potential to put your encrypted data at risk.